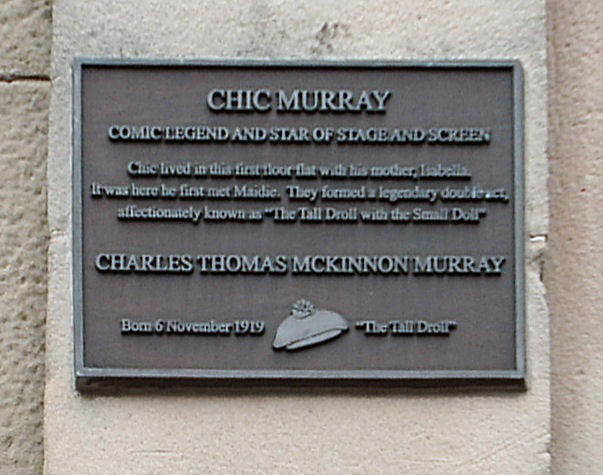 Chic Murray was born in Bank Street Greenock in 1919. From humble beginnings he went on to become one of Britain’s best known and loved comedians, known for his unique sense of humour and droll delivery. 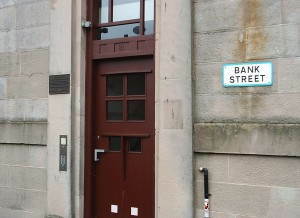 Charles Thomas McKinnon Murray was born on 6 November 1919 to William Murray and Isabella McKinnon at Bank Street, Greenock. He was a talented musician and played several musical instruments – at the age of 7 would play Gospel songs with his father at the society his father founded – The Burning Bush Society. Chic, as he was always known, developed this talent for music and learned to play the piano, organ and could also play banjo, mandolin and guitar well. He did well at school and went on to be an apprentice in marine engineering with Kincaids. At the same time he and his friends formed an entertainment group which eventually they called the Whinhillbillies. As well as playing music Chic developed his own style of entertaining. After the war ended he “took to the boards” professionally and became an international success.